MALTA, Mont. (AP) — The most dramatic feature of eastern Montana's prairie is a sea of grass fading into a blue sky that stretches from horizon to horizon. But, for more than a century, what's given the land definition have been fences — thousands of miles of barbed wire slicing across the prairie and pulled taut to keep in cattle. 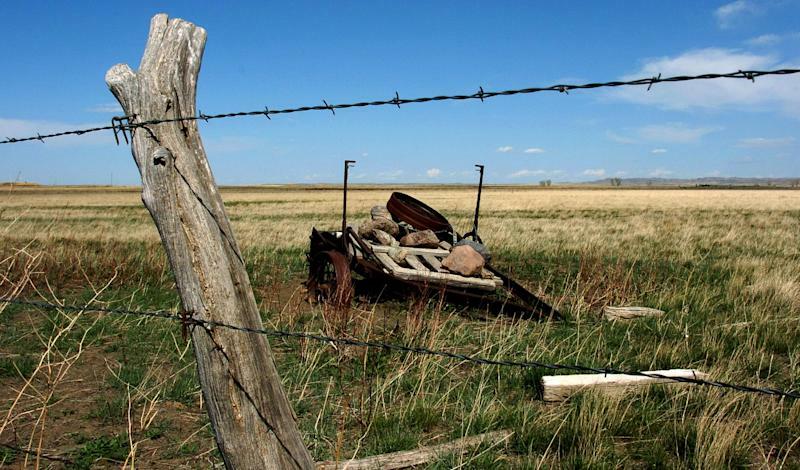 Now on tens of thousands of acres of former ranchland those fences are being pulled down by a private conservation group funded by deep-pocketed philanthropists. In the heart of Montana's cattle country, the American Prairie Reserve is assembling a wildlife preserve that could be larger than Connecticut and rival the West's great national parks. On Tuesday, the Bozeman-based group announced its biggest step yet toward that goal with the purchase of the 150,000-acre South Ranch from families with a century-long tie to the land. The deal more than doubles the amount of public and private property under the reserve's control just north of the C.M. Russell National Wildlife Refuge, about 60 miles from the Canadian border. Scientists familiar with the initiative describe it as an unprecedented attempt to restore an often-overlooked ecosystem that supports hundreds of species of birds, mammals, plants and insects. The "end-game" is the free flow of wildlife — pronghorn antelope, predators and up to 10,000 bison — across three million acres or more of public and private land, organizers said. That will take years of coordination with state and federal officials and neighbors, they said. "I wouldn't just say as soon as we can we're going to rip out all the fences," said Scott Laird, the reserve's acquisition director. "That will eventually, slowly, occur." Some local ranchers see the group's plans as an assault on their way of life as families that stuck with the cattle business through generations of blizzard and drought are bought out. "They keep saying they're saving it. But it already looks beautiful. 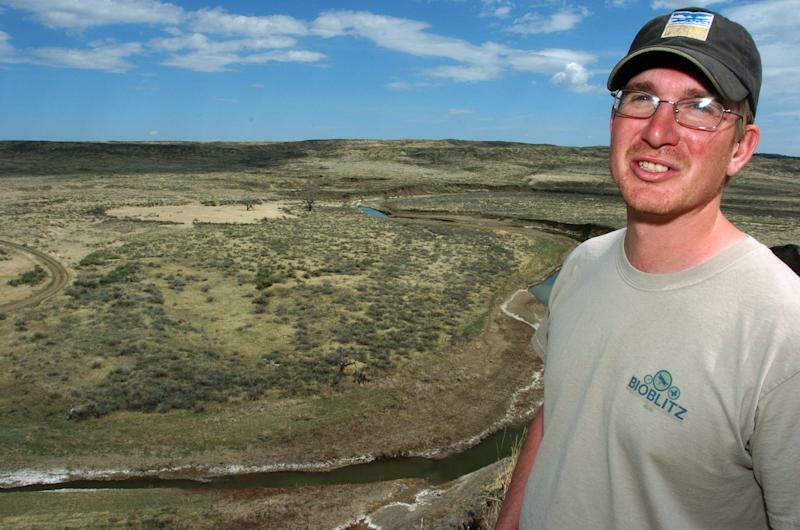 They're not saving anything," said Vicki Olson, a reserve opponent and third-generation rancher. Those critics lump the reserve's goals with a contentious federal proposal to convert a vast swath of eastern Montana into a new national monument. It's an idea that continues to stoke outrage in rural communities more than two years after U.S. Interior Secretary Ken Salazar repudiated it under pressure from the state's congressional delegation. The private money behind the reserve is unencumbered by such politics. Among the donors are John and Adrienne Mars, candy industry billionaires who have given at least $5 million of the $48 million the group has raised. Montana Gov. Brian Schweitzer said Tuesday that the South Ranch sale, the 13th ranch bought by the reserve since 2004, is, in the end, a business transaction. And as long as the bison stay within the reserve, he said, it's no different than cattle on a ranch. For now, sellers Page Whitham Land and Cattle will continue ranching under a 12-year lease with the option to renew at the reserve's discretion. But much of the 150 miles of fence that crisscrosses the ranch will eventually come down if the reserve has its way. Erected over generations to keep livestock in, the fences also break up habitat for native wildlife. The South Ranch traces its history to a pair of Civil War veterans and professional bison hunters who moved into ranching after the animals were wiped out from the area. Page Whitham general partner Steve Page said restrictions on public grazing and higher government fees — combined with the prospect of a national monument — make ranching on the land no longer viable. The sellers "concluded that traditional ranching operations in south Valley and south Phillips counties are in jeopardy of becoming history in the not so distant future," he said. Page added that the decision was right for them, but may not be for others. On the site of one of the reserve's prior ranch purchases about 10 miles from the South Ranch, a herd of 240 bison now occupy a 14,000-acre pasture. The animals travel at will among gently-rolling hills of sage brush and short grasses broken by dry creek beds and the occasional watering hole. Large colonies of prairie dogs — loathed by many ranchers because their burrows pock pasture land — also are re-establishing themselves. That's paving the way for a host of prairie dog-dependent species such as burrowing owls and, potentially, endangered black-footed ferrets. During a recent tour, reserve foreman Damien Austin pointed out a pair of burly bull bison striding across the remnants of a dike that held water for livestock. As a coyote on a nearby hilltop yelped at the bison, Austin explained that the dike was breached to restore the prairie's natural water flow. But the rest of the dike would probably be left in place. "The thing is, after a few hundred years of bison wallowing on them, they'll flatten out," Austin said. "We've got lots of time."